I am a lecturer at Imperial College London, and as part of my sabbatical, I decided to spend four months at the African Institute for Mathematical Sciences (AIMS) in Rwanda where I taught a course on Foundations of Machine Learning. The African Institute for Mathematical Sciences is a pan-African institution with centres in South Africa, Cameroon, Senegal, Ghana, Tanzania and Rwanda. AIMS provides a full-time learning environment where students and lecturers stay on campus. One important thing that AIMS does differently from many other institutions of higher education is that they do not charge any tuition fees. Moreover, every student receives a full scholarship covering accommodation, food and a monthly stipend. This allows students from all backgrounds to start an MSc degree in mathematical sciences. 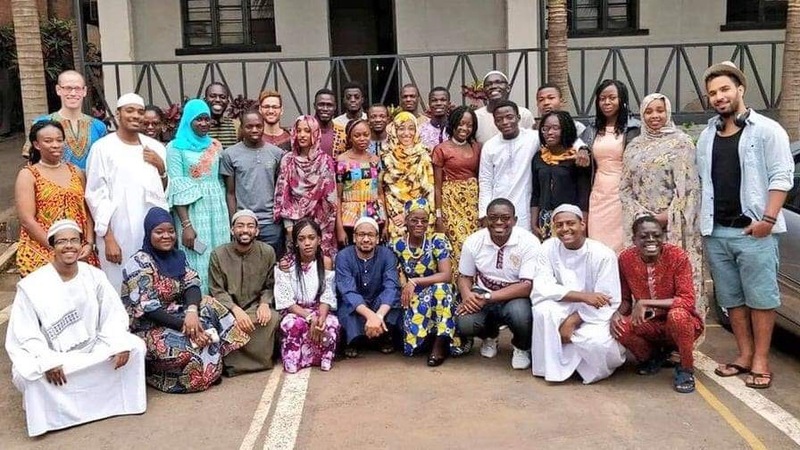 Students come from across the African continent to study together and to grow a pan-African community of mathematicians. The first time I came across AIMS was a few years ago. At that time I supervised some students’ dissertations (AIMS Senegal), and I was very happy with the students’ performance in these projects. In September 2017, I taught a short course at the Deep Learning Indaba in South Africa, where I experienced a full week of African enthusiasm and excitement about machine learning. This level of excitement about a research area I have never seen before in my life. That week in Johannesburg left a lasting impression with me, and with a sabbatical coming up in 2018, I decided to spend a few months at an AIMS institution. The reason why I went to Rwanda was that I heard of a new machine learning degree that was about to start in Kigali. I contacted Prince Osei, the director of Quantum Leap Africa (a centre of excellence at AIMS Rwanda that catalyses high-impact research in data science and smart systems engineering), about this. We immediately agreed on a syllabus outline and high-level objectives of the course, so that I moved to Kigali in August 2018 to begin a new chapter. Rwanda is a small country just south of the equator. Most of us know it because of the genocide in the 90s, but Rwanda has seen a significant transformation in the last 25 years. Rwandans have come together as a people, and ‘community’ means something to everyone living here, and the monthly ‘Umuganda‘ brings people together. These days, Rwanda is planning long-term success and prosperity. The government’s focus on climate change, pollution, AI and quantum physics is very forward looking, and actions are being taken to deliver on those global issues. For example, plastic bags were banned in 2006. Rwanda is a very safe and clean country. There is no litter in the streets, and it is safe to walk alone at night through dark streets – something one may want to think about twice in many other places. Kigali is in many ways very different from London: The easiest way to get around town is to use a moto-taxi, a motorbike where you just hop on and off (after negotiating the price with the driver). If you (or the driver) get lost, don’t worry: There are always friendly people around who are very willing to help. Kigali is packed with small shops and markets, and it is very easy to get local products. While a huge (and delicious) avocado costs about 0.20 USD, toothpaste (which is imported) easily costs 1.50 USD. It is generally easy to find good restaurants in Kigali, many of which are vegetarian friendly, although it may take a while for the food to arrive. But the wait is often worthwhile. For example, I had great grilled Tilapia in a local restaurant in Kigali. AIMS Rwanda was set up in 2016, and by now two MSc degrees are offered: An MSc in Mathematical Sciences (since 2016), currently with 50 students, and an MSc in Machine Intelligence (since 2018), currently with 31 students. The infrastructure at AIMS Rwanda is very good so that students can focus on learning and research. Normally, courses at AIMS are intensive three-week block courses with 10 hours of lectures per week, plus tutorials/labs. The lecturers teaching these courses come from across the globe. The learning environment at AIMS is very different from the one at a ‘normal’ university: The interaction between lecturers and the students is direct, personal and engaging – something that will never be possible to this extent in a class of 150. Given that the courses at AIMS are block courses, normally taught by external lecturers, there are not many lecturers on campus at the same time. This also contributes to a closer exchange between students and lecturers. One of the teaching backbones at AIMS are the permanent tutors, who are around for a full academic year. They are the ones who have an overview of all students and they make sure that every lecturer has a relatively smooth experience at AIMS. The African Masters in Machine Intelligence (AMMI) launched in October 2018, and is Africa’s flagship program in machine learning, and it is hosted at the Quantum Leap Africa Center of Excellence at AIMS Rwanda. One of AMMI’s missions is to train a generation of globally connected African machine learning developers and practitioners. The first AMMI cohort comprises 31 students (42% women) from 11 different countries. The African Masters in Machine Intelligence is supported by Facebook and Google, and without them the degree would not have been possible in this way. Topic-wise, the AMMI degree covers many aspects of modern machine learning, ranging from the mathematical foundations (linear algebra, calculus, statistics and probability theory) and details of basic machine learning algorithms to more advanced topics, which include Gaussian processes, approximate inference, kernel methods, graphical models, advanced optimization and reinforcement learning. However, besides these theoretical topics, the degree has an equal focus on applied topics, such as deep learning, natural language and image processing. One important feature of the AMMI degree is that students are paired with mentors. These mentors are international experts in machine learning and provide guidance and support to the students. They also help the students to become part of the international machine learning community. AMMI students also give back and help growing their own local communities: Every student is expected to mentor an undergraduate or high-school student in their respective home country. In the next installment, due to be published shortly, Marc talks more about the African Masters in Machine Intelligence course, his experiences in teaching it, and his reflections more generally as his four-month sabbatical comes to an end.